This is such a gorgeous and rare find. 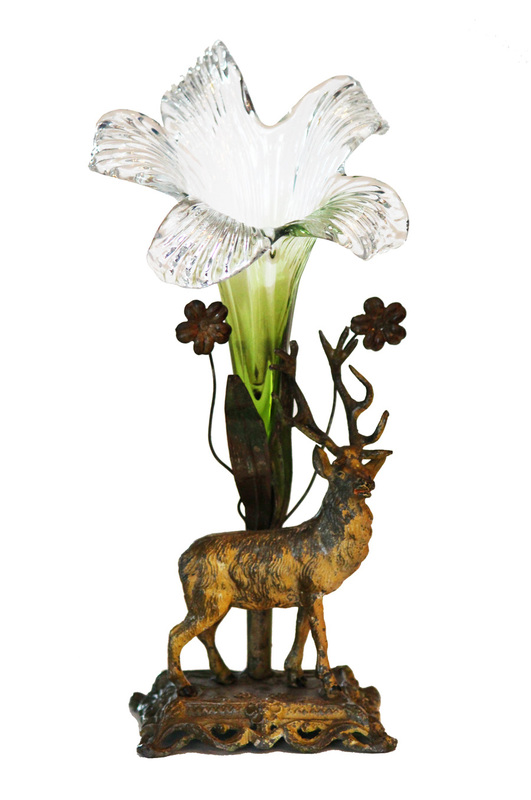 It is an epergne dating back to the Victorian era. 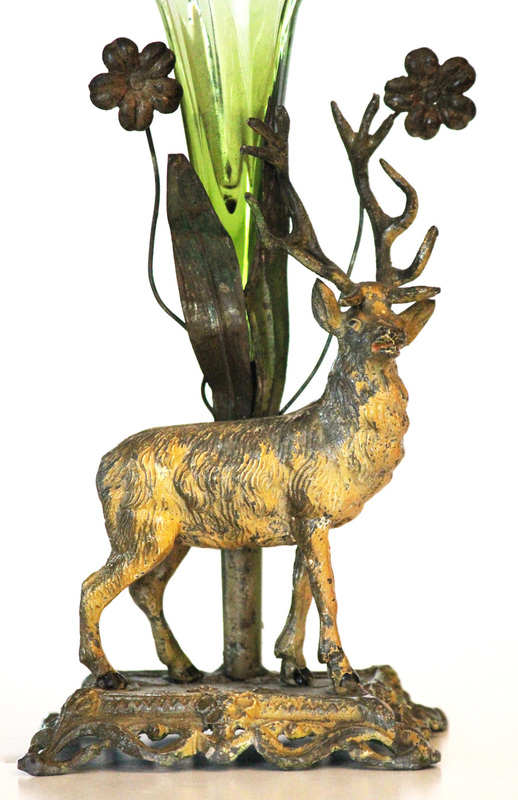 The metalwork is just lovely depicting a deer in the meadow with flowers overhead. The paint is faded to perfect and in my opinion this is a 10! I simply adore it! 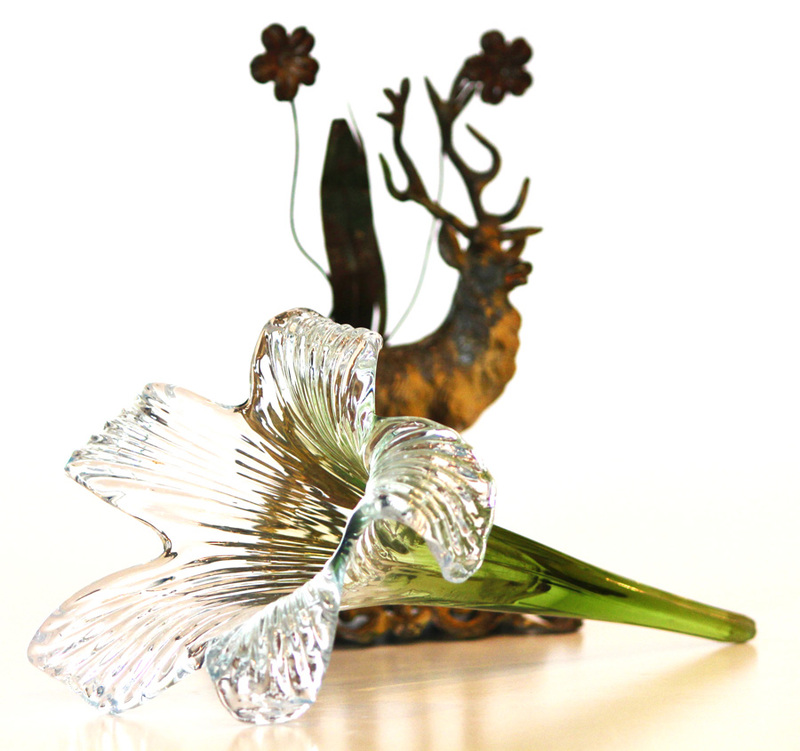 The glass is excellent and original to this piece.